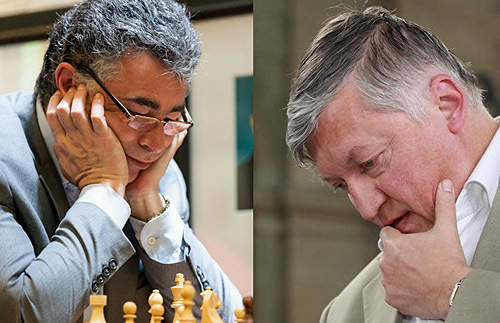 The Chess Club and Scholastic Center of Saint Louis is proud to host former World Champion GM Anatoly Karpov in a special match against four-time U.S. Champion GM Yasser Seirawan. The two will face off June 9-13 in a unique competition that will test their classical chess skills along with their abilities at both blitz and rapid play. – Two Classical Games: 90 minutes for the first 40 moves followed by 30 minutes for the rest of the game with an addition of a 30-second increment per move starting from move one. Each Classical game is worth three points. – Two Rapid Games: 25 minutes plus a five-second increment. Each Rapid game is worth two points. – Ten Blitz Games: Five minutes plus a two-second increment. Each Blitz game is worth one point.